Prime Minister Voreqe Bainimarama has extended his well wishes to his Vanuatu counterpart Meltek Sato Kilman Livtuvanu on the celebration of their National Day and 35th anniversary of Independence. 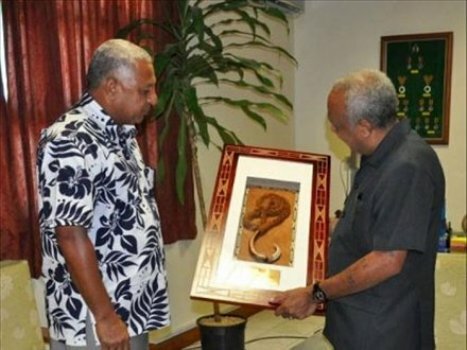 Bainimarama has praised the strong spirit of the people of Vanuatu while showing compassion with the challenges faced by the country during Cyclone Pam. The Prime Minister has assured the nation of Vanuatu that Fiji stands ready to assist them in times of crisis as the two nations are brothers and sisters in the Melanesian family. He says the two nations have shared a long and uniquely warm bilateral relationship where both countries have worked together closely on various capacities of common interest at a regional and global level. Bainimarama adds Fiji plans to partner with Vanuatu in the lead-up to the World Climate Summit in Paris in November where both countries intend to lead the campaign for decisive global action to tackle the issue of climate change.